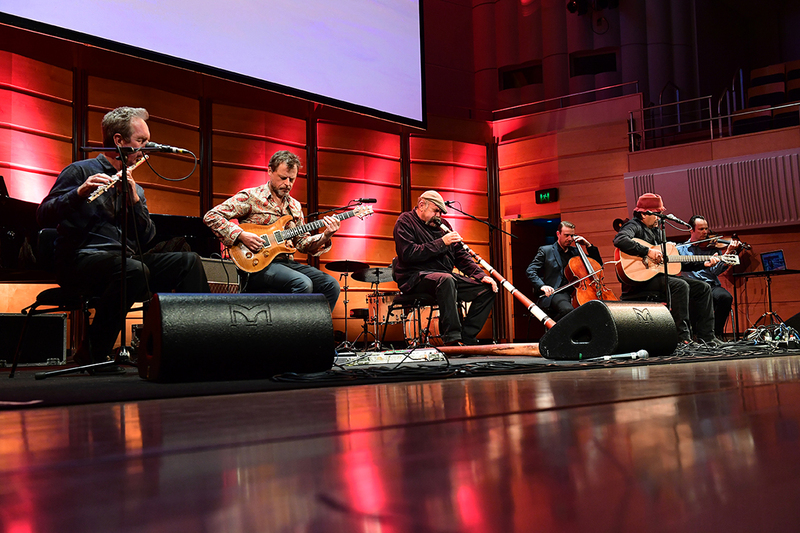 The APRA-AMCOS and Australian Music Centre’s 2017 Art Music Awards ceremony at Sydney’s City Recital Hll engendered a genuine sense of occasion, opening with a richly expressive and welcoming didjeridu performance by Mark Atkins and closing with an affecting performance of “Koolja” by the stellar Narli Ensemble comprising Stephen Pigram (voice, guitar), Errki Veltheim (violin), Stephen Magnusson (guitar), Mark Atkins (didjeridu), Tristen Parr (cello) and Tos Mahoney (flute). AMC Chair Genevieve Lacey spoke of how “humbling and fortunate” it is to be a musician and to “reveal what tears at us” in troubling times in which, she says, we should turn for inspiration to the recent Uluru Statement from the Heart. She paid tribute to outgoing APRA-AMCOS CEO Brett Cottle, who emphasised the importance of experimentation and community and in turn praised as “selfless and hardworking,” the indefatigable AMC CEO John Davis, whom other award winners also praised. 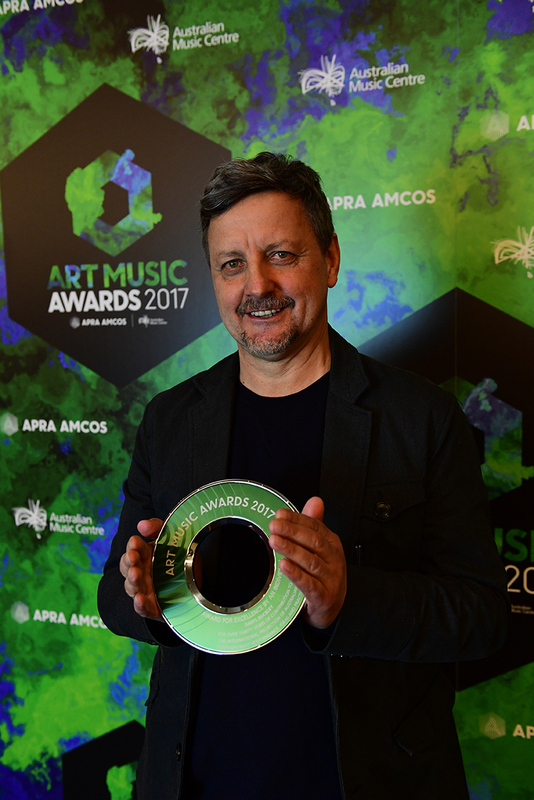 Another champion of Australian music, ELISION artistic director and managerial force to be reckoned with, Daryl Buckley, received the Award for Excellence by an Individual. 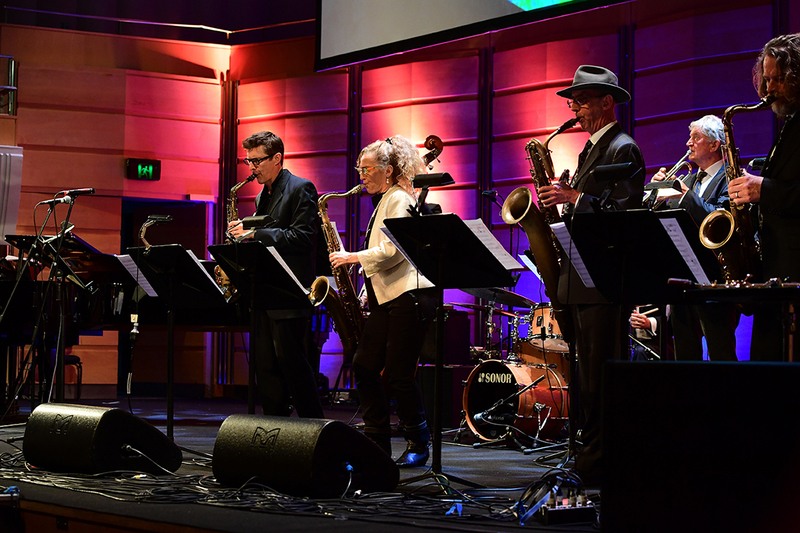 For some 30 years, he has promoted Australian music-making and composition principally by sustaining the ELISION ensemble, which he described as “a family of equals,” and expanding its international reach, at times against considerable odds. Many compositions, including three operas, by the profoundly inventive Liza Lim have been premiered by ELISION. 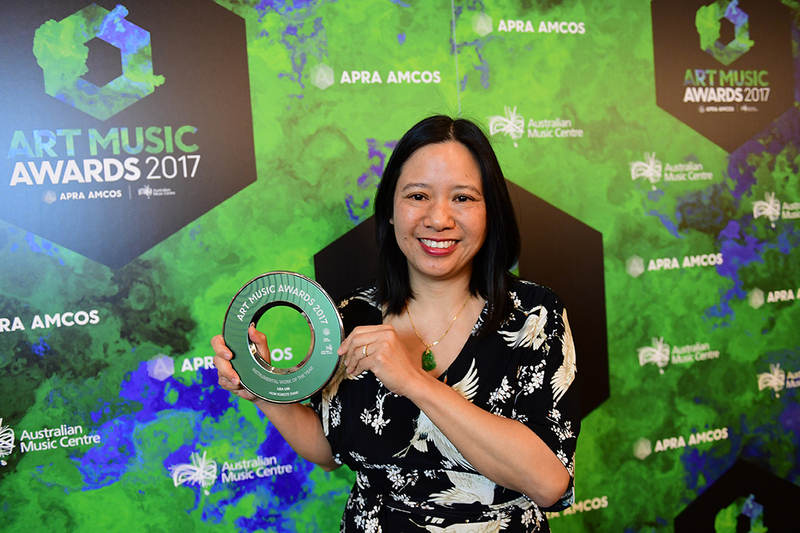 This year she won two awards, including Instrumental Work of the Year for the ecologically and anthropologically-inspired How Forests Think, which the ensemble thrillingly premiered at last year’s Bendigo International Festival of Exploratory Music (BIFEM), featuring sheng player Wu Wei and conducted by Carl Rosman. The work is dedicated to John Davis. Marshall McGuire played Lim’s Rug Music, which draws deeply on the harp’s resources, while cellist Tristen Parr strikingly played Cat Hope’s Shadow of Mill (1st movement) with a bow in each hand. Melbourne’s Speak Percussion won the Award for Excellence by an Organisation, pianist Peter de Jager (who impressed so much with his monumental Xenakis concert in BIFEM 2016) received the Award for Performance of the Year, and Lyle Chan was awarded Orchestral Work of the Year for Serenade for Tenor, Saxophone and Orchestra to words by Benjamin Britten about a pre-WWII relationship. Tura New Music won the Award for Excellence in a Regional Area for its unique remote WA touring and development program. Artistic Director Tos Mahoney spoke of the importance of “learning, not just delivering” in the organisation’s contact and collaborations with Aboriginal peoples. One winning group stood out for the highly unusual nature of their collaborative achievement. The Award for Excellence in Experimental Music went to Clocked Out (Erik Griswold, Vanessa Tomlinson) with Bruce and Jocelyn Wolfe, who accepted it on the night, for The Piano Mill Project. Sited near Stanhope in Queensland, it’s described on the project’s website as “a square structure clad in copper, designed by architect Bruce Wolfe and purpose-built to house 16 pianos — eight on the first level and eight on the mezzanine. The walls consist of large-scale louvres, which can be opened and shut to alter the Mill’s acoustic.” Griswold has composed a score for the collective pianos which are of various ages and conditions. You can see the Mill and hear its distinctive sound on the project’s website. Jazz drummer and until recently leader of Ten Part Invention, John Pochée received the Award for Distinguished Services to Australian Music. Peter Rechniewski’s glowing tribute, a short documentary and the artist’s speech revealed not only his innovations and his democratic spirit but also a life in which Pochée could happily combine playing exploratory jazz side by side with working for club bands and for visiting artists like Shirley Bassey, for whom he was a favourite. This segment of the evening gave us a fascinating glimpse of Sydney cultural life from 1950s clubs El Rocco and Mocambo to Pochée’s 1986 creation of Ten Part Invention — in which everyone was a composer — and on to the present with the band’s current lineup paying tribute to Pochée with a performance of And Zen Monk, composed early in the band’s career by Roger Frampton, embracing its quickfire subtleties and executing it with big band verve. Andrea Keller won the Award for Excellence in Jazz and performed her “Darest Thou Now” with impressively supple singing from Gian Slater, while Tom O’Halloran won Jazz Work of the Year for the furiously complex album Now Noise, performed on CD by Memory of Elements. These and other awards given out on the night collectively illustrate the wellbeing of adventurous Australian music-making across forms, cities and regions, paying tribute to the durability and influence of long-term contributors like John Pochée, Daryl Buckley and ELISION, Liza Lim, Clocked Out, Speak Percussion and Tura New Music who have engendered a new Australian musical landscape. The 2017 Art Music Awards, in a crisp two-hour ceremony with bravura performances curated by Gabriella Smart, did them proud. Find the full list of awards here.